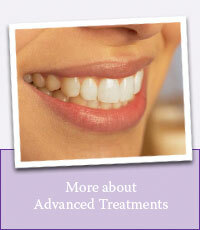 If you have an amalgam (silver) filling or an old crown or bridge, consider upgrading your dentistry. Your dentist may have been providing the highest level of care at that time. However, dental health can impact your life in many ways and the advancements achieved over the last decade can offer the health you deserve, and the appearance you want. Everyone has different priorities, depending on their life experiences and circumstances. When achieving enhanced oral health is your goal, we can gently and respectfully introduce you to an advanced standard of dental care. Our team will provide the information you need to make an informed decision. Determine if the changes we recommend fit YOUR needs and lifestyle. Then promptly proceed to improved oral health!